1. Opportunity = frontier: Up until 1890, the frontier was mostly landed, which gave opportunity to those who had the will and ability to survive. Americans, Turner said, had been forced by necessity to build a rough-hewn civilization out of the frontier, giving the nation its exceptional hustle and its democratic spirit and distinguishing North America from the stale monarchies of Europe. Moreover, the style of history Turner called for was democratic as well, arguing that the work of ordinary people (in this case, pioneers) deserved the same study as that of great statesmen. Such was a novel approach in 1893. The history of the West was many-sided and it was made by many persons and peoples. Turner’s thesis was rife with faults, not only its bald Anglo Saxon chauvinism—in which non-whites fell before the march of “civilization” and Chinese and Mexican immigrants were invisible—but in its utter inability to appreciate the impact of technology and government subsidies and large-scale economic enterprises alongside the work of hardy pioneers. Still, Turner’s thesis held an almost canonical position among historians for much of the twentieth century and, more importantly, captured Americans’ enduring romanticization of the West and the simplification of a long and complicated story into a march of progress. 2. Social Mobility: The frontier gave people the opportunity to change class. Our society encourages people to make this change if they have the ability. This is what made the United States unique and the opportunity to change class has been the driving forces behind American development. The nearly 70,000 members of the Church of Jesus Christ of Latter-Day Saints (more commonly called Mormons) who migrated west between 1846 and 1868 were similar to other Americans traveling west on the overland trails. They faced many of the same problems, but unlike most other American migrants, Mormons were fleeing from religious persecution. Many historians view Mormonism as a “uniquely American faith,” not just because it was founded by Joseph Smith in New York in the 1830s, but because of its optimistic and future-oriented tenets. Mormons believed that Americans were exceptional–chosen by God to spread truth across the world and to build utopia, a New Jerusalem in North America. However, many Americans were suspicious of the Latter-Day Saint movement and its unusual rituals, especially the practice of polygamy, and most Mormons found it difficult to practice their faith in the eastern United States. 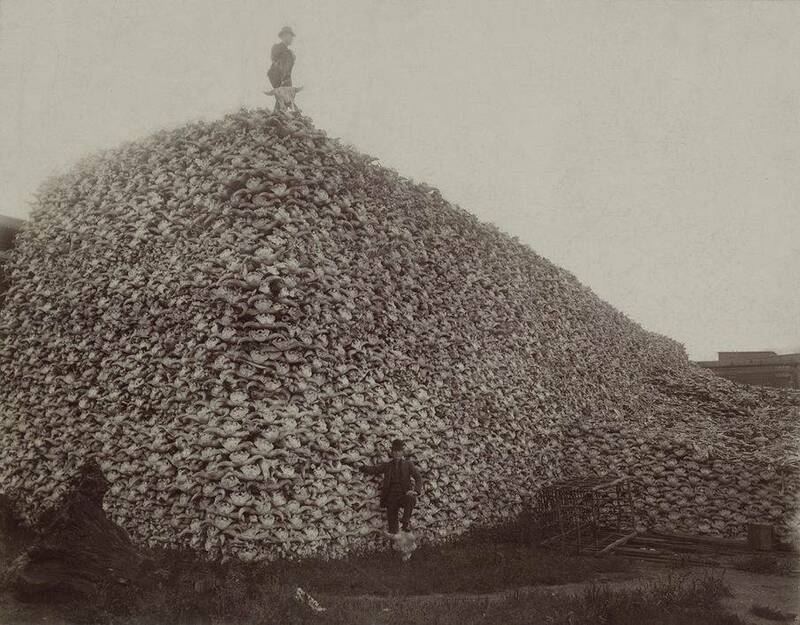 Thus began a series of migrations in the mid-nineteenth century, first to Illinois, then Missouri and Nebraska, and finally into Utah Territory. Migrants sometimes found in homesteads a self-sufficiency denied at home. Second or third sons who did not inherit land in Scandinavia, for instance, founded farm communities in Minnesota, Dakota, and other Midwestern territories in the 1860s. Boosters encouraged emigration by advertising the semiarid Plains as, for instance, “a flowery meadow of great fertility clothed in nutritious grasses, and watered by numerous streams.”7 Western populations exploded. The Plains were transformed. 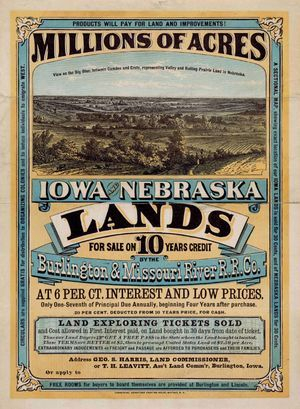 In 1860, for example, Kansas had about 10,000 farms; in 1880 it had 239,000. Texas, for instance, saw enormous population growth. The federal government counted 200,000 persons in Texas in 1850, 1,600,00 in 1880, and 3,000,000 in 1900, becoming the sixth most populous state in the nation. 3. Social Darwinism:. Having the ability to adjust to the environment ; survival, of the fittest. To survive in the frontier one needed the ability to physically adjust to the harshness of the environment whether that be the landed frontier or the business opportunities of the industrial frontier. 4. Pragmatism (practical): To adjust to the environment you have to be practical, flexible, do what works, etc.